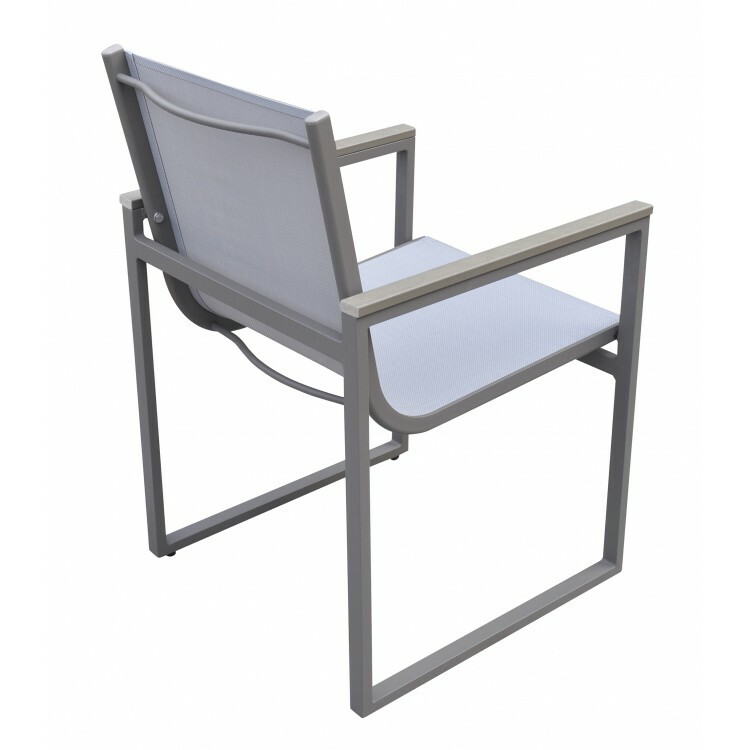 The Armen Living Bistro outdoor patio dining chair is an exceptional piece certain to fit your outdoor seating needs. 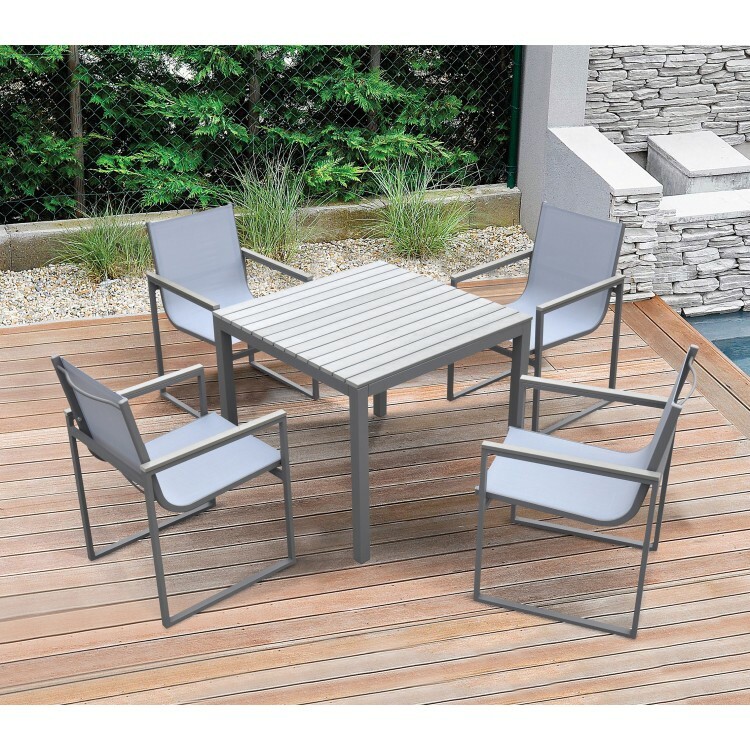 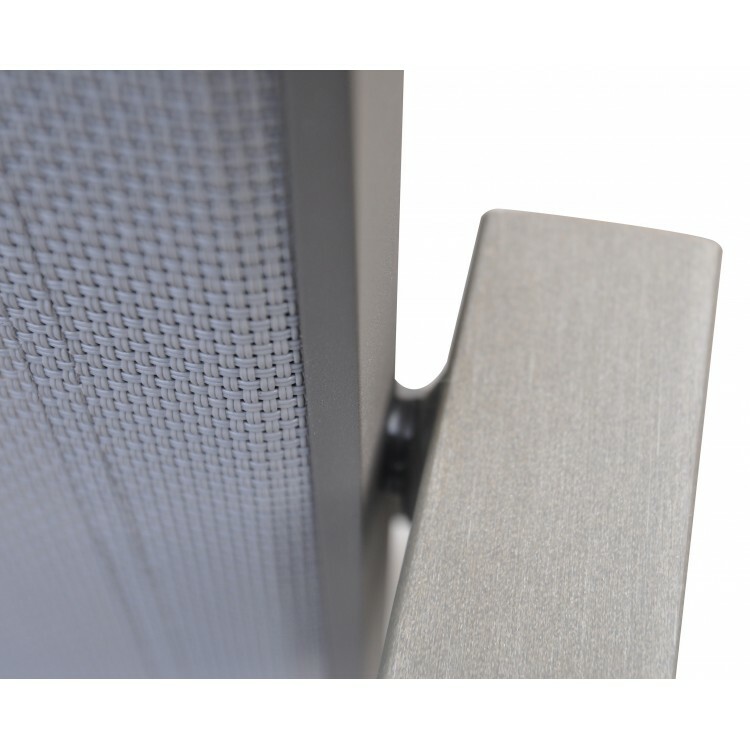 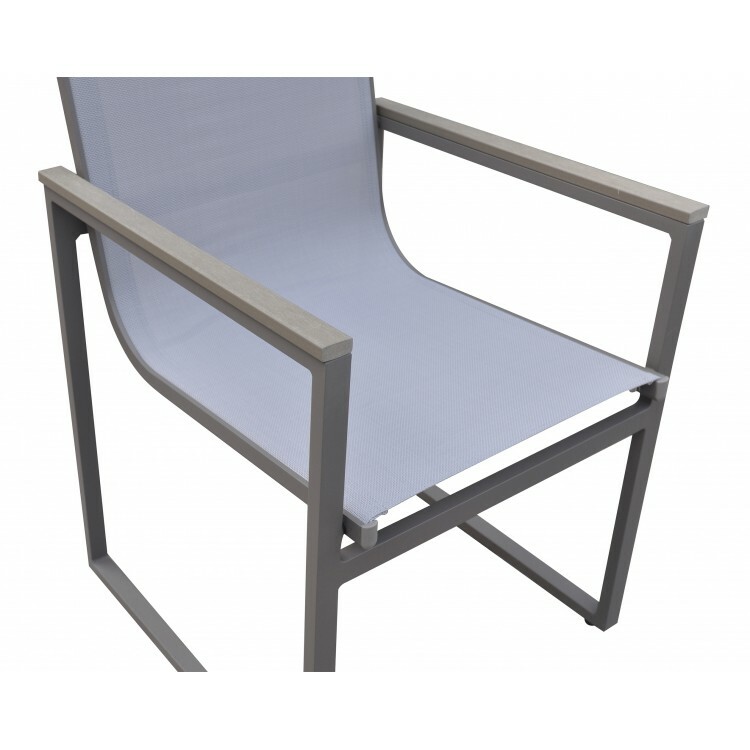 Lightweight and durable, the Bistro's grey powder coated finish aluminum frame allows for ease of rearrangement without compromising on quality or aesthetics. 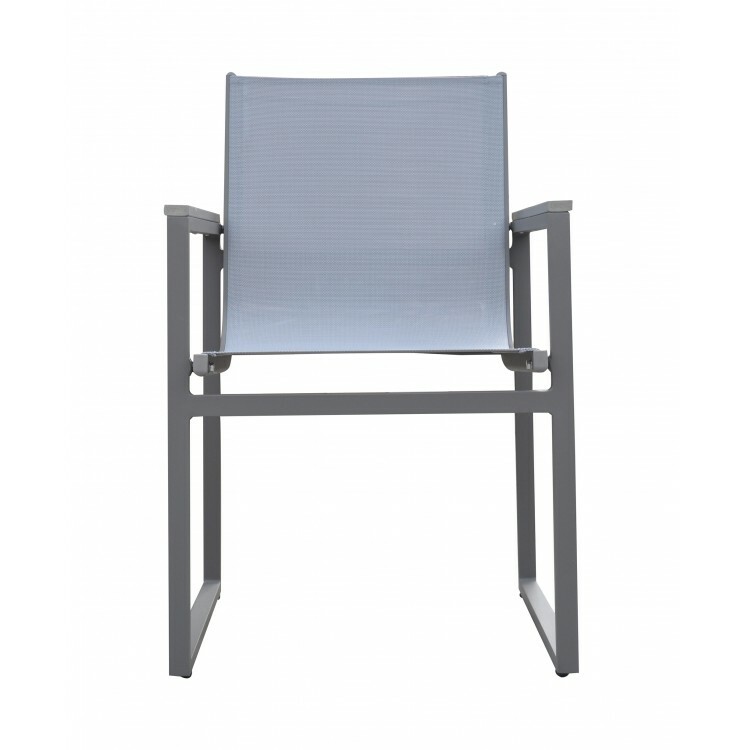 The Bistro's grey sling textilene seat and back are water proof and provide an ideal amount of comfort and support. 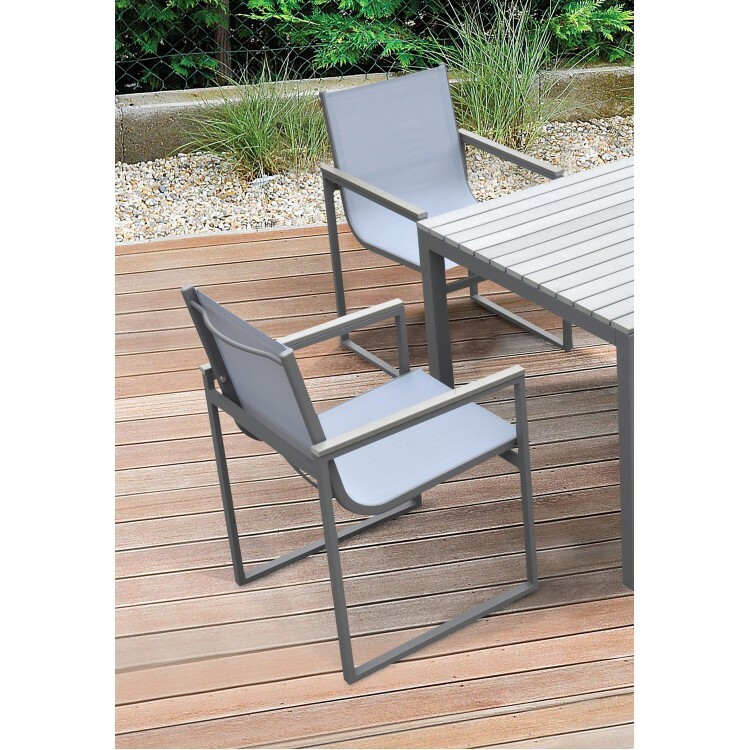 The Bistro's arms feature grey wood accents that enhance the appearance of this already stylish patio chair. 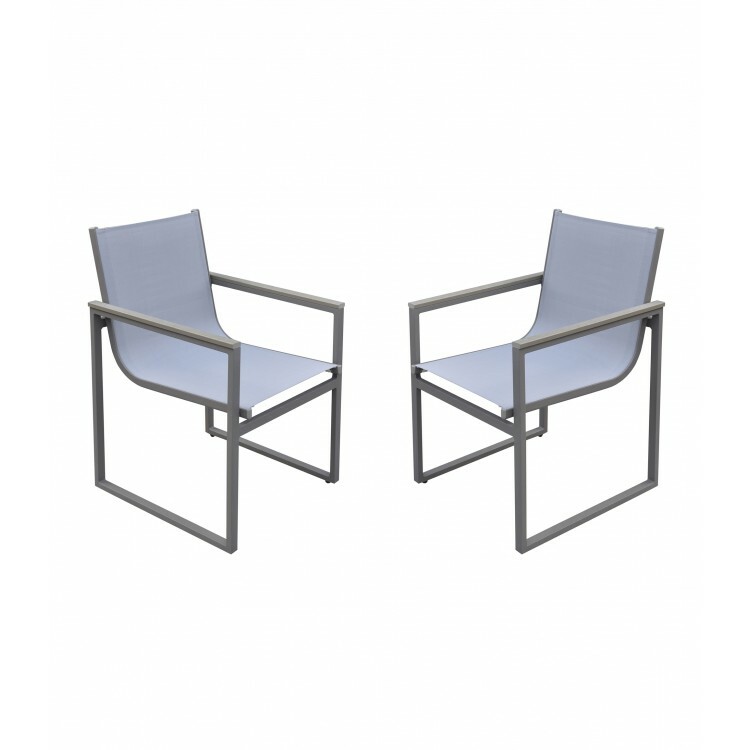 The Bistro comes in grey and is sold in a set of two.